No apricots, nectarines, plums, or cherries, either. A strange warm spell in mid-winter followed by two brutal deep freezes have, according to surveys and several farmers we spoke to, completely decimated the stone fruit crops in the Northeast, from roughly central New Jersey on north through New York, Connecticut, Massachusetts, New Hampshire, Rhode Island, and Vermont. Here’s what happened: An unusually strong El Niño cycle in late 2015 through 2016, likely with the assistance of climate change’s unpredictability, resulted in a string of about a week in February of mid-50-degree-Fahrenheit days in this region. It was, at that point, the most unusually warm month in recorded history, according to NOAA. “Things like peaches, apricots, they start to come out pretty quick as soon as it gets warm out,” says Steven Clarke of Prospect Hill Orchards, in Milton, New York. Those crazily warm days tricked the Northeastern stone fruit trees to think spring had arrived, and to begin putting out buds, which would eventually flower and become fruits. But then two absurdly cold spells, one in mid-February and one in early April, froze and damaged nearly every single bud. Some apple varieties were hit as well, though apples tend to bud later and be a little more tolerant of bad weather; Clarke says his Cortland, Mutsu, and Jonagold apples were hurt badly. Farmers have some methods to deal with cold spells; typically cold air sinks to the ground and pockets of warm air sit on top. That’s called an inversion layer, and farmers can raise the temperature on the ground by mixing the cold bottom air with the warmer air. The techniques for doing that are pretty crazy; some will hire helicopters to hover just above their trees, blasting the warm air downwards, and others have gigantic stationary fans for the same purpose. But this year, the wind was also incredibly intense during the cold snaps. “Helicopters will work if there’s an inversion layer, but this wasn’t a frost; this was a freeze,” says Rick Lawrence, of Lawrence Farms Orchards, in Newburgh, New York. “There was no warm air to push down, it was just cold, cold.” Even these expensive tactics couldn’t fight the weather. “There’s was absolutely nothing you could do about it,” says Clarke. There are no full surveys of farmers in the Northeast, but most believe that in this region, at least 90 percent of the crop has been lost. A study in April found that viability of the peach blossoms were as low as 22 percent. Worse than that, some of the actual trees didn’t survive. “We lost quite a few peach trees ourselves,” says Lawrence. 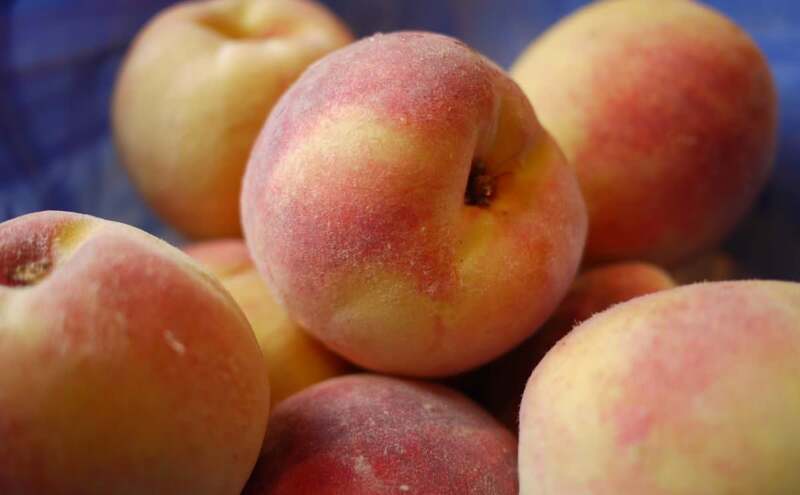 “I know some of the other growers were hit pretty hard.” New peach trees can take years to produce fruit, so it’s likely that the weather this year will have lasting effects in years to come. What’s even stranger about all this is that none of the farmers I’ve talked to have ever seen this kind of destruction before. “We’ve never had anything like this, as long as I can remember,” says Lawrence. “I’m 60 years old and I can’t remember anything like this.” Though he notes that peaches are not generally a primary crop in this region, Clarke agrees. “I’ve never seen a wipeout like this,” he says.